Directions:FROM 290 WEST: TURN RIGHT (NORTH) ON TELGE. LEFT ON CYPRESS NORTH HOUSTON. RIGHT ON MUELLER CEMETERY ROAD. LEFT ON McCEARLEY. HOME IS DOWN ON THE RIGHT-HAND SIDE. SchoolsClick map icons below to view information for schools near 15710 Mccearley Dr Cypress, TX 77429. Listing provided courtesy of REALM Real Estate Professional. Home for sale at 15710 Mccearley Dr Cypress, TX 77429. Description: The home at 15710 Mccearley Dr Cypress, TX 77429 with the MLS Number 12050624 is currently listed at $315,000 and has been on the Cypress market for 4 days. 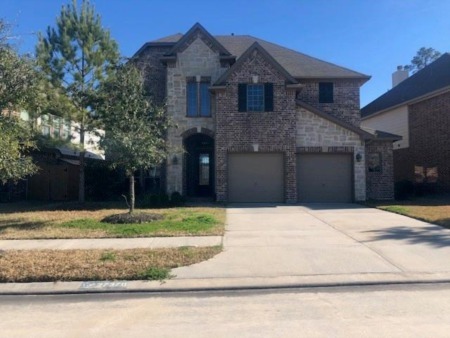 You are viewing the MLS property details of the home for sale at 15710 Mccearley Dr Cypress, TX 77429, which is located in the Cypress Point Estates U/R R/P subdivision, includes 5 bedrooms and 3 bathrooms, and has approximately 2703 sq.ft. of living area.